Let there be light. With these four words, God began to create everything that ever was or ever will be. He hung the sun, moon, and stars in the skies. He painted the light and the darkness. Filled Oceans. Carved mountains. And then, He created the very first of His flying creatures---Coo and Flutter, two very special doves on a mission of love. 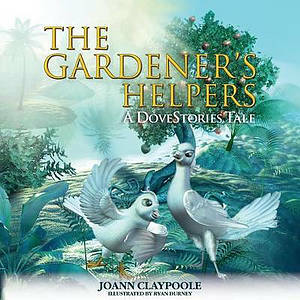 The Gardener's Helpers by Claypoole, Joann was published by Morgan James Kids in September 2015. The ISBN for The Gardener's Helpers is 9781630475321. Be the first to review The Gardener's Helpers! Got a question? No problem! Just click here to ask us about The Gardener's Helpers.